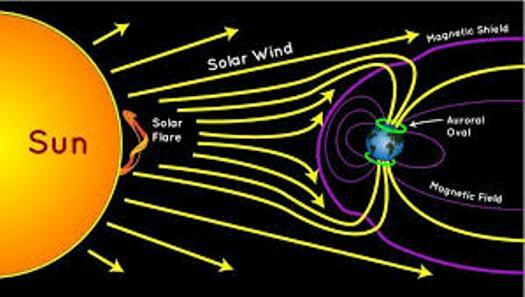 For the past 70 years, researchers have studied these solar storms by direct instrumental observations, which has led to an understanding of how they can pose a risk to the electrical grid, various communication systems, satellites and air traffic. Two examples of severe solar storms in modern times that caused extensive power cuts took place in Quebec, Canada (1989) and Malmö, Sweden (2003). The researchers behind the new, international study led by researchers from Lund University have used drilled samples of ice, or ice cores, to find clues about previous solar storms. The cores come from Greenland and contain ice formed over the past about 100,000 years. The material contains evidence of a very powerful solar storm that occurred in 660 BCE. 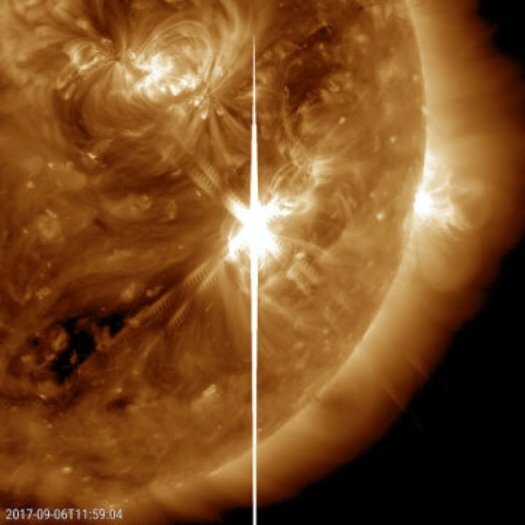 “If that solar storm had occurred today, it could have had severe effects on our high-tech society,” says Raimund Muscheler, professor of geology at Lund University. “That’s why we must increase society’s protection again solar storms,” he says. “Our research suggests that the risks are currently underestimated. We need to be better prepared,” concludes Raimund Muscheler. 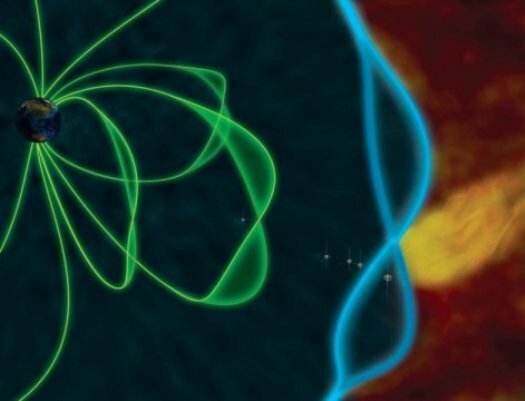 An international team of scientists led by a researcher from Trinity College Dublin and University of Helsinki announced a major discovery on the very nature of solar storms in the journal Nature Astronomy. The team showed that solar storms can accelerate particles simultaneously in several locations by combining data from the Low Frequency Array, LOFAR, with images from NASA, NOAA and ESA spacecraft. 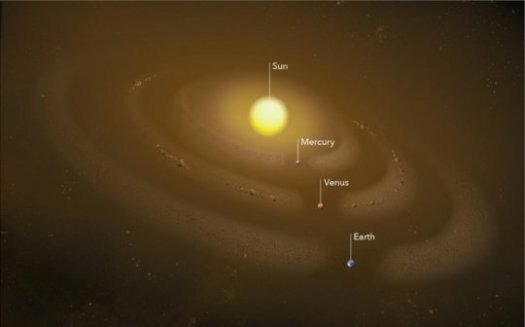 The sun is the closest star to Earth, and like many stars, it is far from quiet. Sunspots many times the size of Earth can appear on its surface and store enormous reservoirs of energy. And it is within these regions that huge explosions called solar storms occur. 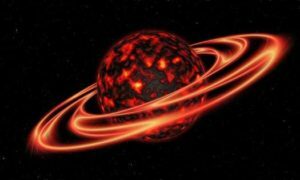 Solar storms are spectacular eruptions of billions of tonnes of hot gas traveling at millions of kilometres an hour. The Nature Astronomy paper reports on a particularly large solar storm that occured on September 10, 2017, soon after the LOFAR station in Ireland came online. “Our results are very exciting, as they give us an amazingly detailed insight into how solar storms propagate away from the sun and where they accelerate fast particles with speeds close to the speed of light,” says Dr. Diana Morosan, the lead author on the publication, and affiliated with Trinity College Dublin and the University of Helsinki. These results may in the future help researchers to produce more accurate forecasts of solar radio bursts and determine how solar storms impact the Earth—they can produce beautiful displays of the aurora, but they can also cause problems with communication and navigation systems and power grids. Society is now even more dependent on technology, and solar storms have the potential to cause significant effects on their performance. In 1859, the largest solar storm ever observed – the so-called Carrington Event – occurred. Within hours, it generated displays of aurora as far south as Italy and Cuba and caused interruptions in early telegraph systems in Europe and the U.S.
During a 2003 event, transformers in South Africa were damaged, and Swedish air traffic control systems were closed down in 2015 for more than an hour due to effects associated with a solar storm. More than 50 satellites reported problems. More recently, emergency response communications were interrupted during hurricane season in September 2017 in the Caribbean. 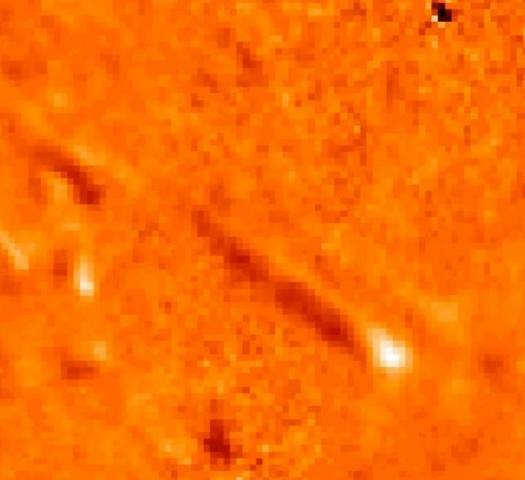 “We used data from the Low Frequency Array, LOFAR, together with images from NASA, NOAA and ESA spacecraft to show where solar storms accelerate fast particles,” says Morosan. 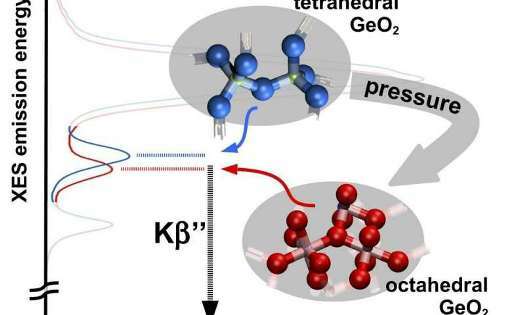 Lead author Dr Christopher Chen, from Queen Mary University of London, said: “Plasma is by far the most abundant form of visible matter in the universe, and is often in a highly dynamic and apparently chaotic state known as turbulence. This turbulence transfers energy to the particles in the plasma leading to heating and energisation, making turbulence and the associated heating very widespread phenomena in nature. 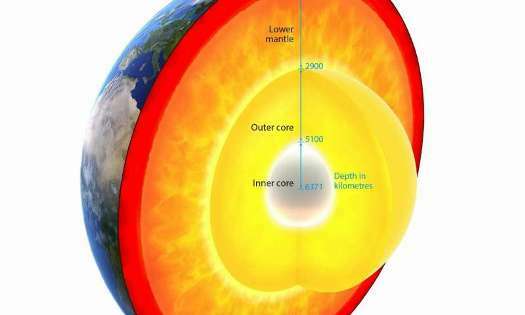 The Earth’s magnetic shield booms like a drum when it is hit by strong impulses, according to new research from Queen Mary University of London.